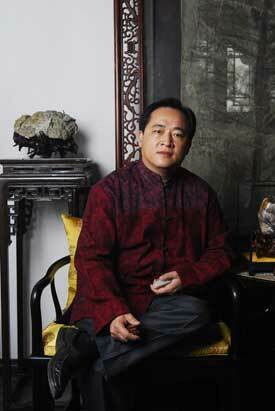 Guo Jie, President of Worldteam Sports, will receive an honorary doctorate from the United States Sports Academy. Not only is he the inventor of Nine-Star sports shoes, the first sports sponsor of the 11th Asian Games, but Guo has helped purchase the first Chinese-owned Formula One racing team, and is a major partner of the NBA operations in China. He could also be called China’s version of Nike founder Phil Knight, because of his chain of sporting goods stores, SportsCube, that has made him a major player in the sporting goods and sports sponsorship industry in the world’s most populous nation. Guo, a native of Fujian, China, was educated at the Hunan Institute of Finance and Economics, Shenyang University of Technology, and Peking University. In 2003, he received the first Jinding Award for Outstanding Marketer. He also received the 2006 Best Professional Elite Award. Along with being CEO of Worldteam, he serves as the senior manager of projects and international affairs in the Chinese sports industry, Vice Chairman of the Tourism Association for the Fujian Province, and he serves on the board of directors for the Fujian National Tourism Group. Worldteam Sports, formally titled China Worldteam Investment Holdings Group Limited, is an international sports investment management group, professionally investing in China and international sports and cultural markets. Worldteam serves global business partners in the areas of sports projects investment; management, sports facilities, and properties management; and the exploration and development in sports markets, sports marketing, etc. Its main focus is sports commerce, media, real estate, and culture. Guo’s philosophy as President of Worldteam is that sports marketing is not “blow-out” action, but a long-term ecological chain, consisting of the customer, the crowd, the organization, and the type of business involved. Only this ecological chain can represent sports marketing in its aim to please the public, and to create vitality in developing the ability that brings wealth, according to Guo. Founded in 1998 to invest in China’s burgeoning basketball marketing fields, Worldteam now has a multitude of sports programs, including World Sports City, the China Basketball Museum, the China Basketball Open (CBO), the Teenage Basketball Association of China (TTBA), and SportsCube. It has established long-term relationships with the Academy, the Pacific Economic Cooperation Council, the Sino European Economic and Cultural Development Council, the NBA, the China Basketball Association, and China Central Television 5. The organization also maintains close ties with the International Basketball Federation (FIBA) and the United States Basketball Hall of Fame. Under the direction of Worldteam, China’s amateur basketball organizations were gathered under the TTBA umbrella. CBO is a 12-team elite amateur basketball tournament that began in 2005. Hosted by the NBA, the first chief consultant for the event was the late former International Olympic Committee President Juan Antonio Samarach. SportsCube is a chain of sporting goods stores targeting ages 13-19 in the Chinese market. Among the 13 members of Worldteam’s advisory board are Academy President and CEO Dr. Thomas P. Rosandich; Cheng Wanqi, honorary President of the International Basketball Federation (FIBA); and Mia Fusheng, President of NBA in China. In 2009, with help from the Academy, Guo was elected Vice President of the International Public Sports Federation Far East Region. In addition, he serves as Undersecretary General of the Chinese Culture Promotion Society, which is supervised by the Chinese Ministry of Culture. He also serves as Secretary General of the Festival China Collaborative, which is responsible for organizing and promoting China’s many festivals.